limit one with this coupon for family or per customer. No valid with any other offer, discount paper or online.This coupon does not expire Void if altered, copied, sold, or transferred or where prohibited or restricted One coupon per spa move of specified service. May not be combined with other offers. Consumer pays any sales tax. 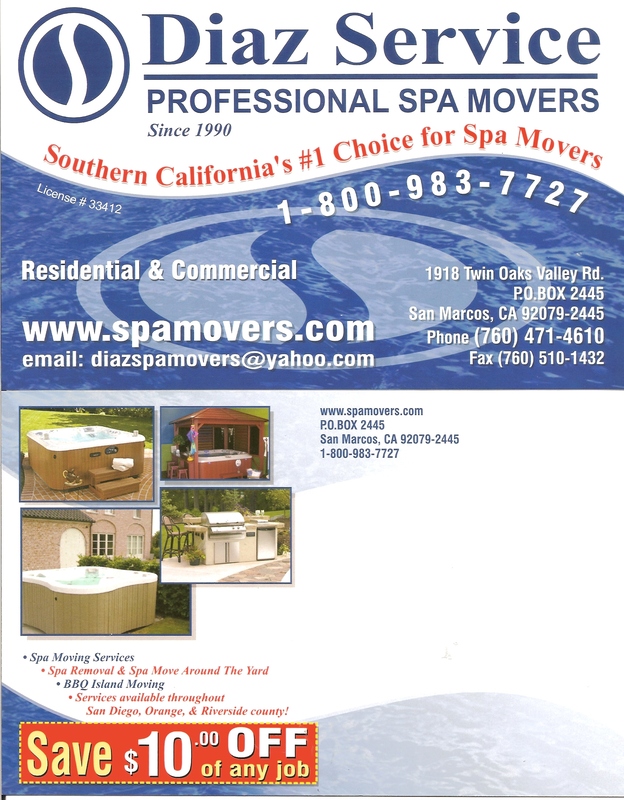 NOT SUBJECT TO DOUBLING Coupons which are made available on this internet site may be printed and redeemed at participating spa moving company these coupons may no be altered, changed or modified in any way.